I wish pronouncing some food items was as easy as eating them. But unfortunately, it’s not a cakewalk. See, mispronunciation is not completely your fault after all. But that doesn’t solve the problem. Well, WHY NOT? This category justifies all the above-mentioned reasons. What is it: Salmon is a large edible fish species. What is it: A chocolate powder made from roasted and ground cocoa seeds (or cacao seeds). What is it: Caramel is a medium to dark-brown coloured confectionery product made by heating a variety of sugars. What is it: It’s a soft fruit consisting of a cluster of reddish-pink drupelets. What is it: Almond is the oval nutlike seed (kernel) of the almond tree, growing in a woody shell. What is it: It’s a thick, creamy dressing consisting of egg yolks with oil and vinegar and seasoned. What is it: Sour is something having an acidic taste like that of a lemon or vinegar. What is it: Something I just love (Just kidding. No I’m not). Dessert is the sweet dish eaten at the end of a meal. What is it: Herb is any plant with leaves, seeds, or flowers used for flavouring, food, medicine, or perfume. I guess that would be enough for you to call yourself a connoisseur. 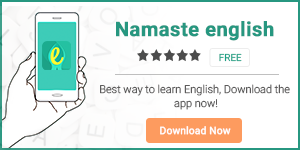 To further improve your English skills download our English learning app – Namaste English.